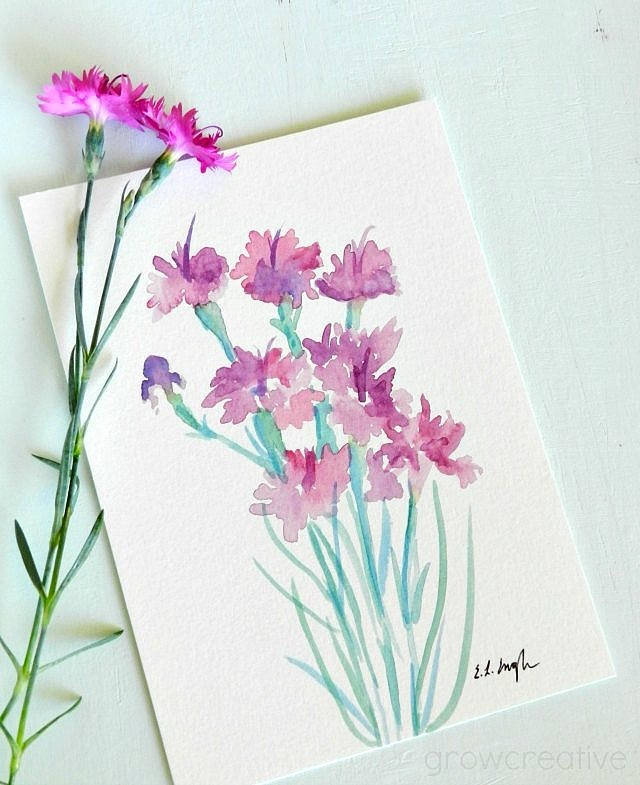 More flower paintings.........this time it's Dianthus from my front yard! Of the two paintings that came out of this session, I like the smaller one the best. The second larger one was kind of an experiment anyway. I find that I usually paint with watercolors better on a small scale. Yep, that's what I'm used to. Is anyone else like that? I just like watercolor, no matter what size! These are beautiful!!! i love that. i have dianthus, and they are great at first, but the dead heading is such a pain...and if you don't, it looks like it's dead! This is so very beautiful! Just gorgeous watercolor paintings! You did a great job! We would love it if you linked up with our party this week!